This listing is just the properties of phytoplankton. It doesn't include the other ingredients in FrequenSea. Alanine - Activates muscles. Immune system booster. Arginine - New muscle builder. 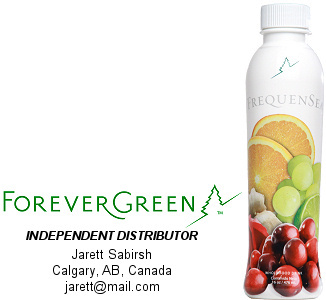 Supports immune system. Detoxifies the liver. Asparagine - Immune system booster. Brain energizer. Aspartic Acid - Assists in making healthy DNA. Immune system booster. Betacarotene - Immune system booster. Defends against free radical attack. Aids digestion. Vision enhancement. Bioflavinoids - Immune system booster. Removes toxins from skin cells. Biotin - Promotes healthier looking hair. Boron - Promotes stronger bones. Improves mental clarity. Assists with unclogging arteries. Calcium - Promotes stronger bones. Calms nerves. Improves cholesterol levels. Chlorophyll - Promotes bowel regularity. Cleanses interstitial tissues. Cobalt - Repairs nerve cells. Helps produce red blood cells. Copper - Eases Arthritis. Helps produce red blood cells. Essential Fatty Acids - Reduces cardiovascular disease. Electrolytes - Helps kidneys regain. Optimum function. Fiber - Eliminates toxic wastes. Fluorine - Fights tooth decay. Improves bone density. Folic Acid - Increases mental focus. Prevents anemia. Germanium - Helps control Espstein-Barr virus. Gamma Linolenic Acid - Lowers cholesterol. Glutamic Acid - Reduces alcohol/sugar craving. Glutamine - Increases mental focus. Glutathione - The body's master antioxidant. Defends against free radical attacks. Glycine - Calms nervous system. Glycogen - Boosts physical stamina. Histidine - Enhances nutrient absorption. Removes toxic metals. Iodine - Assists with maintaining regulating body weight. Lecithin - Dissolves cholesterol deposits. Improves short-term memory. Leucine - Reduces Hypoglycemic symptoms. Linoleic Acid - Combats viral infections. Lysine - Helps prevent osteoporosis. Magnesium - Promotes tranquility. Moderates mood swings. Reduces migraine headaches. Manganese - Assists joint mobility. Methionine - Enhances memory. Mood elevator. Removes heavy metals. Niacin (Vitamin B3) - Stress reducer. Lowers cholesterol. Assists in reversing atherosclerosis. Nickel - Promotes cellular growth and reproduction. Nucleic acids - Memory enhancement. Omega-6 Fatty Acids - Relieves arthritis symptoms. Skin tone improvement. Reduces cardiovascular disease. Phenylalanine - Improves mental clarity. Sugar cravings reducer. Phosphorous - Assists with healthy teeth. Increases bone fracture repair. Potassium - Hypertension reducer. Blood pressure control. Proline - Increases learning ability. Assists repairing torn cartilage. Pyridoxine (Vitamin B6) - Immune system booster. Relieves PMS. Riboflavin - Boosts physical energy. Defends free radical attacks. Reduces eye fatigue. RNA - Improves mental focus. Selenium - Strengthens immune system. Relieves anxiety. Serine - Enhances skin beauty. Sodium - Assists preventing sunstroke. Superoxide Dismutase (SOD) - Assists in preventing free radical activity. Substance P - Increases mental focus. Thiamine (Vitamin B1) - Increases energy. Improves mental attitude. Tension reliever. Theonine - Immune system enhancer. Ameliorates skin tone. Tyrosine - Improves emotional health. Enhances mental alertness. Increases memory ability. Valine - Promotes muscle tissue building. Vanadium - Assists in controlling blood sugar levels. Vitamin B12 - Increases physical energy. Enhances mental focus. Assists with nervous system repair. Vitamin C - Promotes healthier gums. Reduces risk of cancer. Reduces duration of common cold. Vitamin E - Immune system booster. Promotes healthy nerve tissue. access. Reduces common cold symptoms. See a listing of the 200 Species of Phytoplankton that are in FrequenSea.